What a week! Getting back into this healthy-mindfulness-about-what-I-am-eating-and-moving-more groove has been interesting. Getting out and taking a walk is not hard for me to do. In fact, that is the easy part for me. It’s the food part that I find tough. In order to not be so rigid, my goal for this past week has been to eat HALF of what I had previously been eating…which was a significant amount. A significant amount of mindless, recreational eating had been occurring. I think I’ve done pretty well with eating half this week, so I feel great about that. It is hard not to get into beating up on yourself when you KNOW what you need to do to get the job done and you have not doing it for the better part of 2 years. So, I just have to tell myself that I am doing something NOW and keep pressing on. 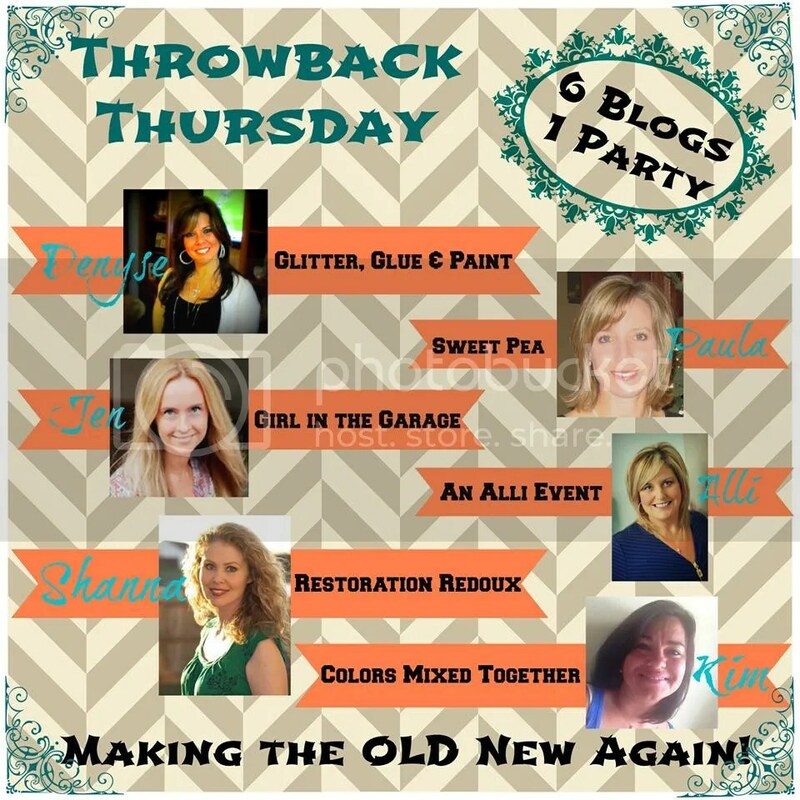 As Timon the little meerkat from Lion King would say, “The past is in your behind.” So there! Take THAT, guilt! Boo-Ya! This week, I joined up with a fantastic group of ladies who are doing a Biggest Loser Challenge. They meet throughout the week for workouts and encouragement and among them is my friend Cris, who I mentioned in volume 1 last week. Let me tell you, these people are not kidding around! 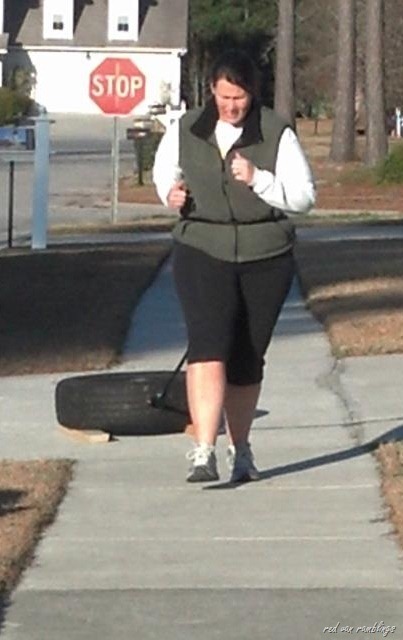 It is a workout complete with someone yelling at you, the flipping of a giant tire and running while pulling a tire behind you. Yeah, that’s right. Thankfully, no one has puked or passed out. So, the big question: Did I drop some pounds this week? Well, the answer is, I am thinking yes, but I don’t really know. The Biggest Loser Ladies are only weighing in once a month. The objective is health and inches lost and not obsessing about the number on the scale. A good plan. But very hard for me. 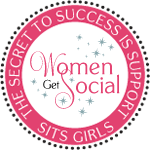 My mindset is to weigh in once a week at Weight Watchers and measure my success that way. (Don’t get me wrong, I love WW. It is a wonderful program!) I wanted so badly to weigh in yesterday. It was hard to resist, but I did. So I will wait and see what the scale shows and what the measuring tape shows in a few weeks. Meanwhile, I struggle with my own human weakness and my desire to eat whatever, whenever. I also battle against my physical weakness which says to me, “You can’t do any more squats. You can’t run for one more second.” I know I don’t have that dig down deep willpower. At least, not in my own strength. I must rely on the truth I find in God’s Word (2 Corinthians 12:9). 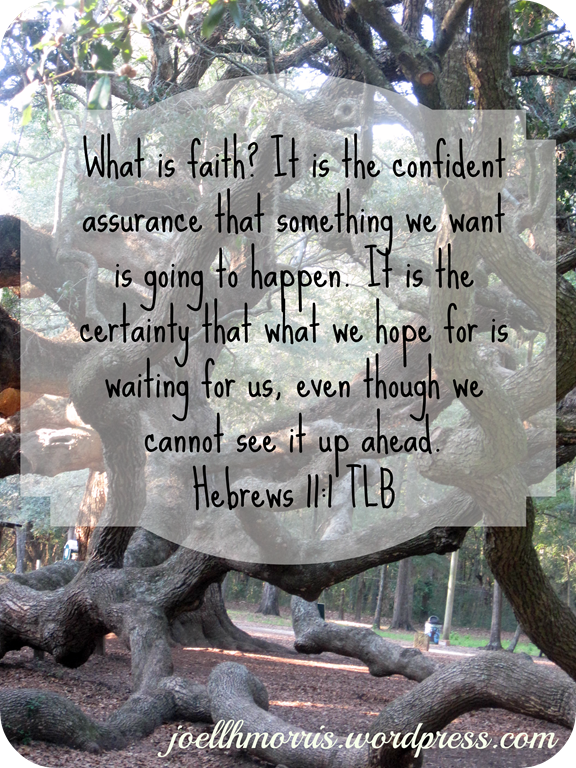 I must rely on and draw from His strength and not any that I may or may not possess on my own. This is not a sprint, y’all. It’s a lifelong marathon. I. can. do. it! And so can you. I get by with a little help from my friends (and some Advil). Just a little piece of advice…don’t do a 10K without training properly for it, but DO do a 10K with your hubby and your friend, because that makes all the post-race pain totally worth it! 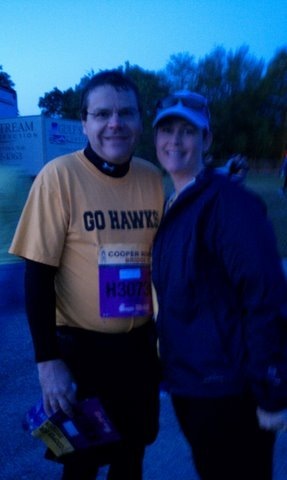 The Cooper River Bridge Run was this past Saturday, my second year of participation. Last year was fun and a great accomplishment, as well as a great time with some great friends. This year, I started out in January with great intentions of being fully prepared for this run and planning to beat my time from last year (HA!). Somewhere between February and March I lost my mojo and found other things besides training to do with my time. I figured, no biggie, we’ll just walk the majority of it. No problem, right? Let’s just say I am fortunate to have finished the race without falling out somewhere along the course. 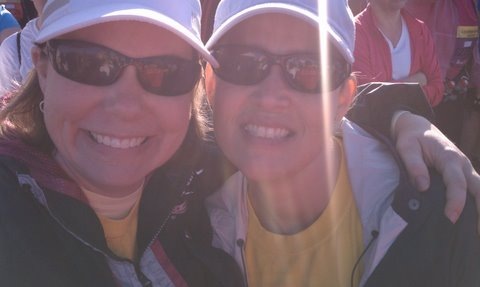 My dear friend, Lisa, and I pretty much walked the entire race. Oh, we managed to run the last .2 miles so we could say we “ran” across the finish line, but our lack of training didn’t lend itself to much running, sad to say. However, I have to say that I enjoyed the actual “racing” part more this year, because as we walked, I was able to enjoy the sights (oh, and there were some sights!!) and sounds of the race instead of me just staying “in my head” in order to keep myself focused on my breathing and pressing on with the business of running. Don’t get me wrong, I do love the satisfaction I get after finishing a run, but walking is much less stressful. And don’t think that just because we were enjoying the scenery that we were doing any sashaying along those 6.2 miles! We were booking it! We finished in about 1 hour 42 minutes, which isn’t too far off of my running time of 1 hour 24 minutes from last year. By the way, Hubby managed to stick with his training and finished in 1 hour and 17 minutes. He ran most of the way. I am so proud of him! (Go Sweetie!) And I am so proud of Lisa and me too! Lisa and I were some hurting units afterwards. Clyn tried to act like he was not hurting though. I could barely move yesterday. Suffice it to say that Advil was my friend. That will teach me. A little preparation goes a long way. I’ve got time to prepare for the next one though. 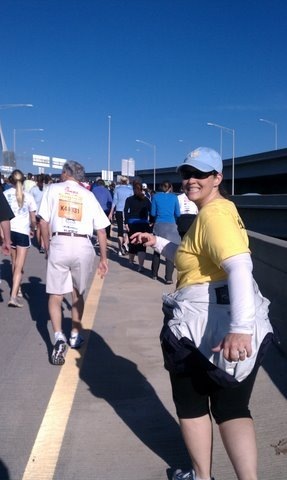 Next Cooper River Bridge Run happens March 31, 2012. I’ll be ready.